First up is a favourite from last year; the Sparkly Pumpkin. The next two treats I’m yet to try. 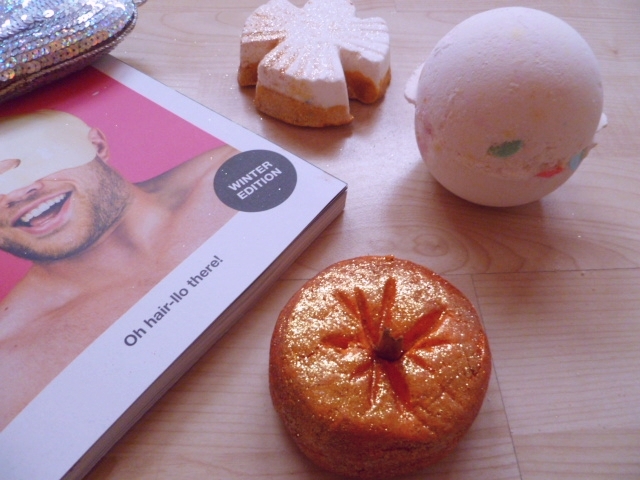 Dragon’s Egg, a bath bomb that I believe is available all year round, is another citrusy delight that I anticipate as my stand in for last year’s Sparkler. 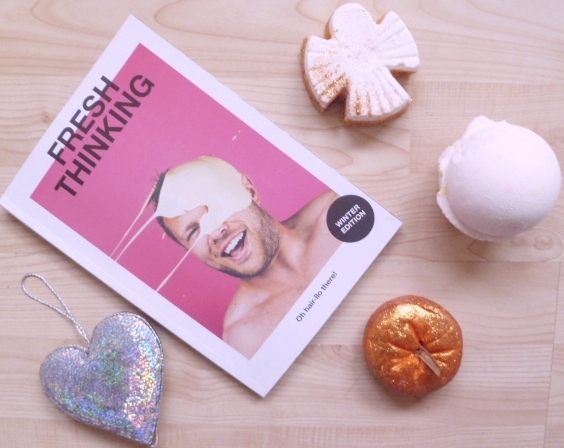 I was gutted not to see my favourite limited edition bath bomb in Lush this year; a Rose Jam scented firework for your bath… What’s not to love? On the hunt for its replacement, I came across this giant speckled white egg and saw the ingredients ‘popping candy’ above it. One quick whiff and that was enough for me to purchase; the lemon sherbet scent is incredible. I’ve seen a few videos of this in action and the speckled colours look amazing in the water. I can’t wait to give it a go. Finally, the luxurious bath melt that’s got me excited for Christmas already; Snow Angel. Doesn’t that just sound heavenly? When I need a good night’s sleep, a bath melt is the perfect choice for making me calm, relaxed and ready for bed. Another sparkly treat, the angel looks super cute on my shelf; so much so I don’t want to use it! The floral scent smells soothing, but not too heavy and overpowering. I also find bath melts to be super moisturising on the skin, and as this one contains cocoa butter, fingers crossed mine will be as soft as a baby’s. So that’s me sorted for pamper nights for the next month or so! If you have any product recommendations from Lush, even from the Christmas collection, please let me know!